Ben's Bubble Show is a unique, visual delight! 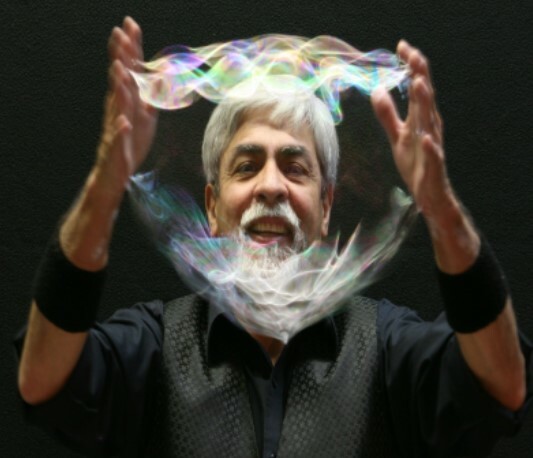 See beautiful, humorous and mind boggling soap bubble sculptures, giant bubbles, smoke bubbles, people inside bubbles and much more! Come find out why bubbles aren't just for kids anymore! No Registration. All ages, children under 6 w/adult.